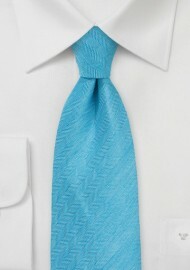 Add a powerful dose of color to your fashion aesthetic with this ultra chic Herringbone Tie in Bright Blue. This dapperly designed necktie is a standout piece from the highly esteemed Parsley Resort Collection. It is expertly crafted from a premium textile blend of silks and lines. 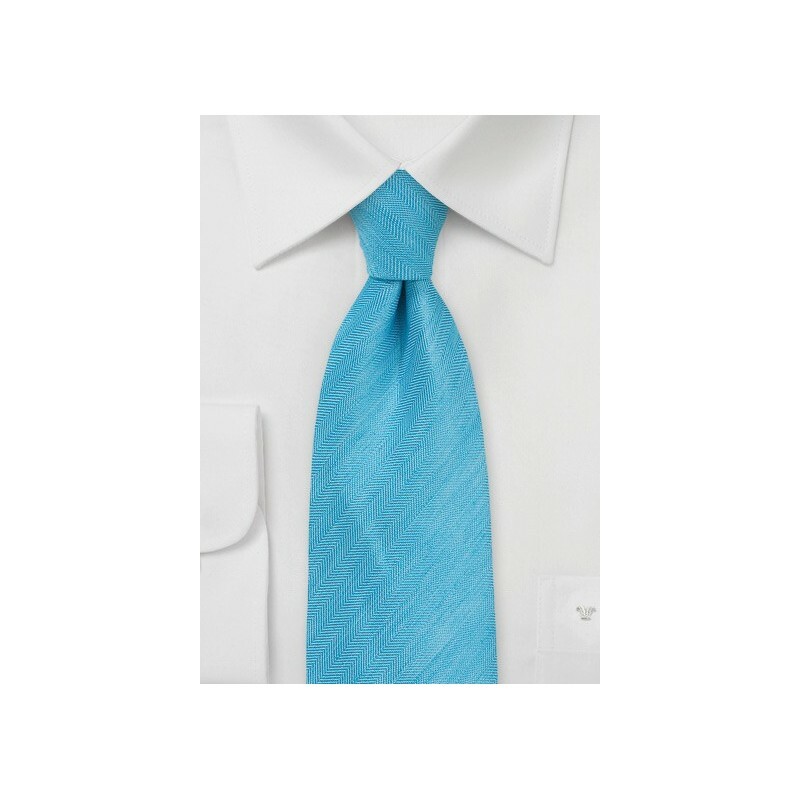 Colorful and stylish; this necktie is the perfect fashion companion for any look. We love to see this vibrant hue of blue paired with classic summer whites and soft neutral grays!